Removes excessive waste and germs for a clean application. 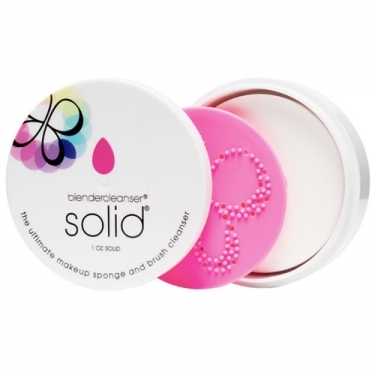 Blendercleanser Solid from Beauty Blender is a pink silicone pad indicated to clean the soapy beautyblender and makeup brushes. This pillow is perfect for traveling and provides optimum cleaning results. 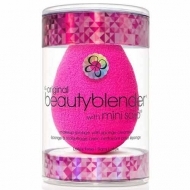 Wet the beauty blender or the makeup brushes; Create foam, rubbing the beautyblender or the brushes on the soap (repeat if necessary); Shake gently the beautyblender or the brushes and rinse again to remove any excess detergent and water; Place the beautyblender in pink pad and allow to air dry. If a more thorough cleaning is required, you can shake your soapy beautyblender against the pink pad. You can also use the pink pad to clean makeup brushes.